I am kinda busy today and the weather is really miserable today so much so I didn't feel like leaving the office to go for lunch. 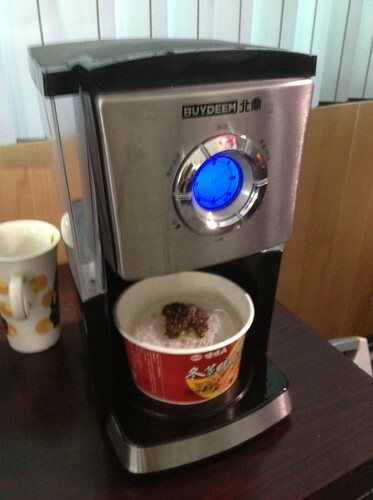 So I got a cup noodle and use my Instant Noodle Maker 3000 to cook it. p.s. If you want coffee flavoured noodles, leave the filter inside. Eek.